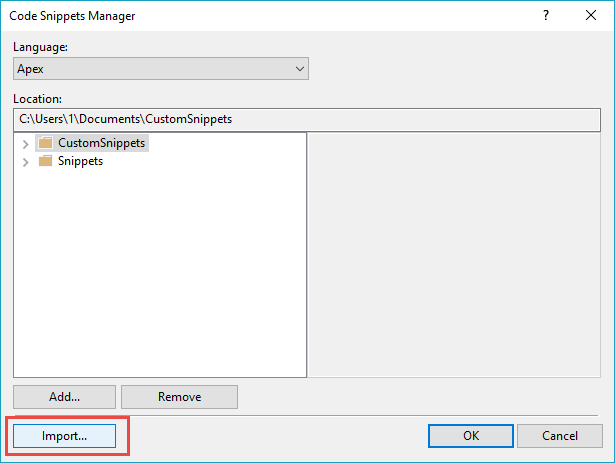 One more way of adding the snippets to The Welkin Suite is to import them. For example, if you have a folder that you have already added to The Welkin Suite, you can simply add snippets from it. 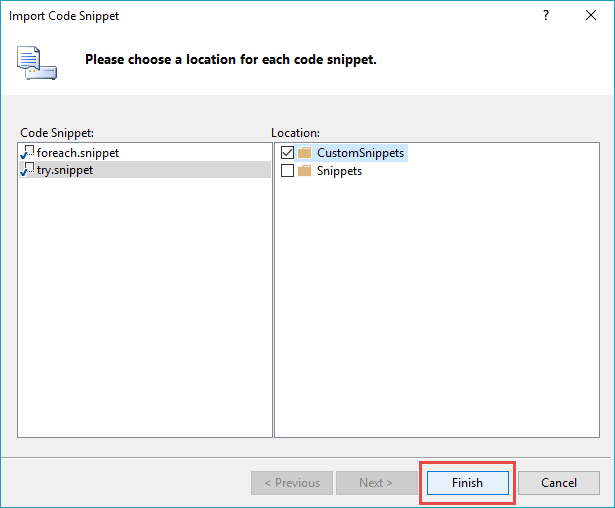 Open the Code Snippets Manager and click the Import… button. In the opened window open the folder with your snippets and select the ones that you want to import to TWS. Then specify the location of each snippet and click the Finish button. NB: The default folder Snippets cannot be used as a location for your own files. You should create and add a custom folder instead.